How do we deal with the unpredictabilty of the world we find ourselves in? Recently I’ve been challenged at two quite separate events to consider the ways in which we look at the world and handle the unpredictability and unaccountability of our lives. 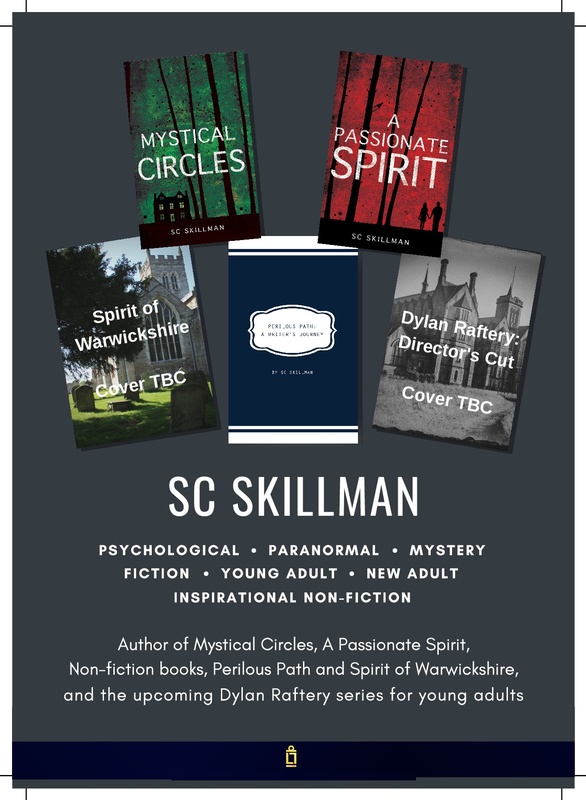 One event was held in St Mary’s Church Warwick where I heard a lecture by Revd. Professor Bernard Silverman, formerly Scientific Adviser to the Home Office. And the other event was an exhibition at the Ashmolean Museum, Oxford, called Spellbound: Magic, Ritual and Witchcraft. At first glance, it seems our choice between the two is clear. After all, we are rational twenty-first century beings. We’ve had the Reformation and the Enlightenment, we know all about logic and philosophy and psychology and the laws of cause and effect. We have modern medicine. We know about viruses and bacteria. We have innoculations. We live in a much more civilised, controlled, functional world, don’t we, than our predecessors? Do we trust mathematical predictions through algorithms? or do we rely on the magical thinking in which humankind has engaged for centuries? or… do we hold both of these in our consciousness as we proceed through this world, along with other outlooks as well? Do you ever wonder where those politicans get their statistics from that they throw at us during media interviews, to underline or prove or disprove certain policies? As a statistician, Prof Silverman has advised the government on many vital issues, including the numbers of people involved in modern slavery, and those taking certain classes of illegal drugs and those involved in drug-dealing, and how to handle a massive influx of migrants into the country. He employs his expertise to predict and manage probabilities and to anticipate situations on a scientific basis, and thus to provide solutions to the best way of handling problems. He researches data and then fits a mathematical model to it, and then gives impartial expert advice to support government. He did say it’s up to science not to overplay the evidence; and it’s incumbent on scientists to explain what they’ve found in terms people can understand; findings should be informed by expertise and not solely by the scientists’ personal opinions. He was asked about the ethical challenges to scientists and he said the only real danger is when the Chief Scientific Adviser gets captured by the agenda. c) listen and observe – after all, that encapsulates the scientific method. Having listened to Professor Silvermen I felt heartened and encouraged, and left the church with a much more positive view of our country and our system of government and indeed our politicians. I felt that with the Chief Scientific Advisers behind them, we have good reason to trust our politicans, perhaps, much more than we do. Then I went to the exhibition at the Ashmolean Museum, Oxford: Spellbound: Magic, Ritual and Witchcraft. Here we found displayed many objects which testify to the reliance our forbears placed upon the idea of changing the external world and their circumstances by manipulation of objects through magic. I found the exhibition aroused many different emotions; it was at different points, creepy, sad, disturbing, distressing, moving, thought-provoking. And as I went round the exhibition, I thought Humans are not essentially rational creatures – they are kaleidoscopic creatures. Henry VIII chopped off people’s heads and condemned them to be hanged drawn and quartered, and was in many ways a monster… and yet he was the first monarch to ensure an English translation of the Bible should be in every church, so the people could read in their own language the Gospels he himself clearly had not read (because the message of love, mercy and compassion had evidently not got through to him). Elizabeth I fought to stop the idolatry and superstition of Catholic practices, and to institute her new Church, enlightened, rational, flower of the Reformation… and she also employed John Dee, Court Magician ( some of whose magical objects were in this exhibition). And women were persecuted and executed as witches right up until 1680 – 22 years into her reign. James I has given his name to first much-revered King James translation of the Bible, and no more women were executed for witchcraft during his reign, and he fought to maintain Protestantism….except that he was obsessed with witchcraft, he wrote a book on it, and Shakespeare wrote Macbeth to please James I, and took the witches’ (genuine) spells directly out of James I’s book. Yes, here in the twenty-first century we are rational beings… but we still have within us black spots of what has been called wilful self-deception. 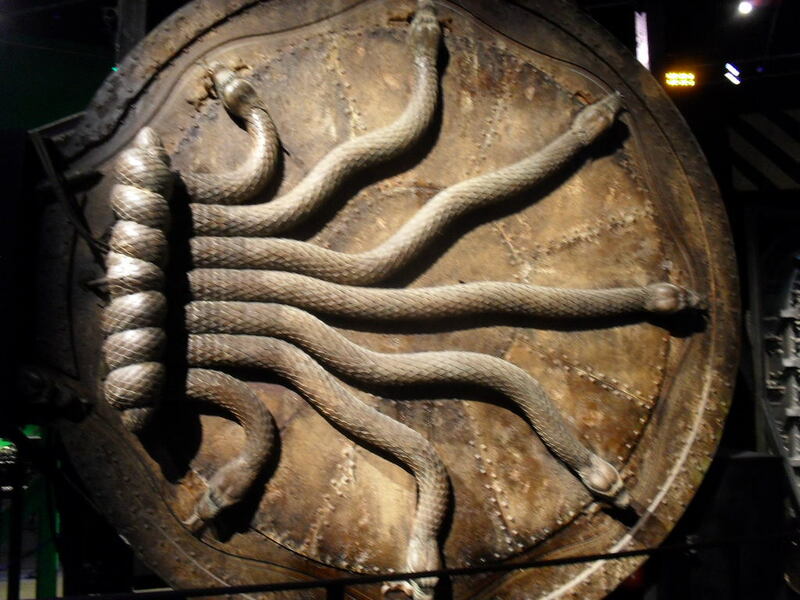 People for centuries have ostensibly followed Christianity yet believed in magical objects and rituals and spells. Clergymen have fought a losing battle against superstition, and caches of magical objects – used everyday items imbued with magical spells – have been found even in the twentieth century, secreted in hiding places in old houses. Some of these caches were on display in the museum; a pair of man’s breeches; a child’s shoe; several teeth; a number of small medicine bottles, and all sorts of items, almost like a curious time capsule, stashed away up the chimney or under the floorboards to somehow magically influence the lives of their owners. As I moved through the exhibition I found myself thinking that in the past centuries, the powerlessness and brutality of life would have often led people to magical thinking, when Christian prayer seemed not to work. But are we so civilised and enlightened that we can look down on all that with incredulous disdain? Do we cross our fingers, or avoid walking under ladders, or feel uneasy with the number 13? Do we have a dream catcher in our bedroom, or a lucky duck from Whitby sitting on the shelf? Do we pass on Irish blessings over social media with a threat that if you don’t forward it to 7 others something bad will happen to you? do you believe in house blessings, or keep crosses or icons around the house? Do you buy guardian angels on chains to wear as a pendant, or take a St Christopher on a journey with you? If we write, do we always use a special pen, or follow a certain ritual before beginning? These and many other little rituals show that we still use magical thinking. I’ve long admired JK Rowling, and not simply because she’s one of the world’s most successful contemporary authors. Although it’s true I love all the Harry Potter novels, and followed the stories as each was published, and saw every film as it was released, I have special reasons for finding JK Rowling a source of inspiration. I feel that in her HP series she has gathered up many of the greatest treasures of world folklore and mythology into a new creation that stands as a reference point in itself. Her imagined world has entered our consciousness. For instance, a few days ago I was in a boarding school looking at an ornate list of names on the wall and I immediately thought of Hogwarts’ Past Headmasters. Another recent example was my visit to Ham House, Richmond; whilst studying one of the many portraits, I half expected the lady in the portrait to shout, “Password!” at me. And I have on a number of occasions found myself in conversation with someone, saying things like, “Oh, I wish I had Hermione’s Time-Turner” or “I could do with Hermione’s bottomless bag”, certain that the person I was speaking to would immediately know what I meant. I’ve only recently read the book Very Good Lives which is JK Rowling’s speech to Harvard graduates in 2008. And for the first time I discovered she had worked in Amnesty International during her early twenties. As she described her experiences in Amnesty International’s offices, I could see at once the influence this had had on the Harry Potter stories – Dolores Umbridge cruelly punishing Harry, Voldemort torturing then executing Charity Burbridge, Lucius Malfoy and his abusive relationship with Dobby (before he became a free elf, of course), and of course many other examples. It also amused me to read of how JK Rowling had chosen to study Classics, against her parents’ wishes, as they thought it a subject that could never lead to a decent job that would never pay a mortgage let alone secure a pension. 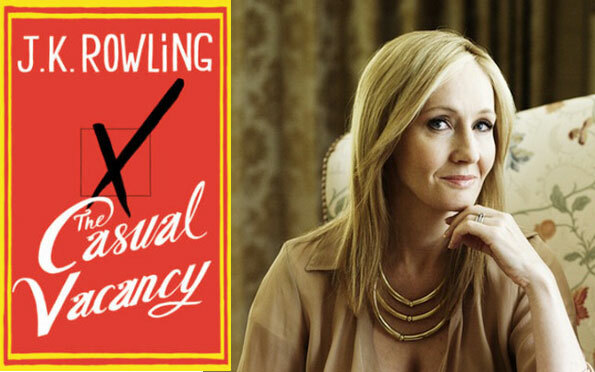 I could also see very clearly why JK Rowling felt she had to write The Casual Vacancy. I identified with and recognised what she wrote about in its pages. I find JK Rowling inspiring not only as a successful author, but also for her own personal qualities. In this world we often see the power that great wealth bestows concentrated in the hands of the wrong people. To my mind, we can be very thankful that JK Rowling is one of the people in whose hands that power is concentrated. It is clear from her Harvard speech where her heart lies, despite all her wealth and success: Poverty is not an ennobling experience… I am not going to tell you failure is fun… but failure means a stripping away of the inessentials… I stopped pretending I was anything other than what I was and began to direct all my energy into finishing the only work that mattered to me…. Failure gave me an inner security I never attained by passing exams… I discovered that I had a strong will and more discipline than I’d suspected. I must admit that after reading her Harvard speech I do wonder how many of those young graduates she spoke to went away and subsequently empathised with the poorest in the world, and lobbied their government to change its polices? For that was what JK Rowling urged them to do. 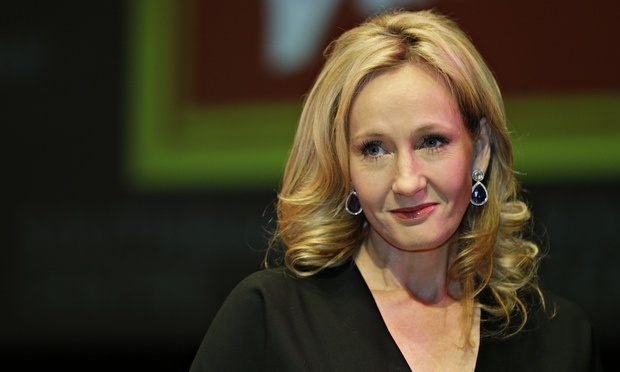 Meanwhile, all we who admire and love the Harry Potter stories, can be very glad that JK Rowling, in defiance of her parents’ wishes, ‘nipped off down the Classics corridor’ to study a useless subject that nobody ever believed would win her a job. 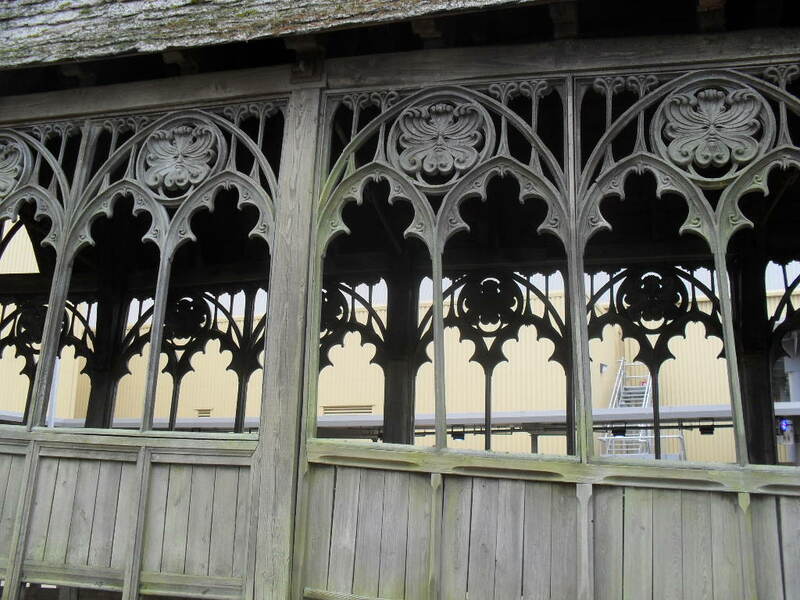 On a recent visit to the Harry Potter tour at the Warner Brothers Studios in Leavesden, I was moved. Not simply by the moment when I and my two children first stepped into the Hogwarts Great Hall, or by the moment when I first came upon the model of Hogwarts Castle, or when I first saw that beautiful Hogwarts Bridge out in the middle of the “Back Lot”, or by when I tasted my first Butterbeer, but by the whole experience, and the reflections that arose from it. All these wonderful objects and scenes and lovingly created details and the magnificent model castle… all because of one woman’s imagination. 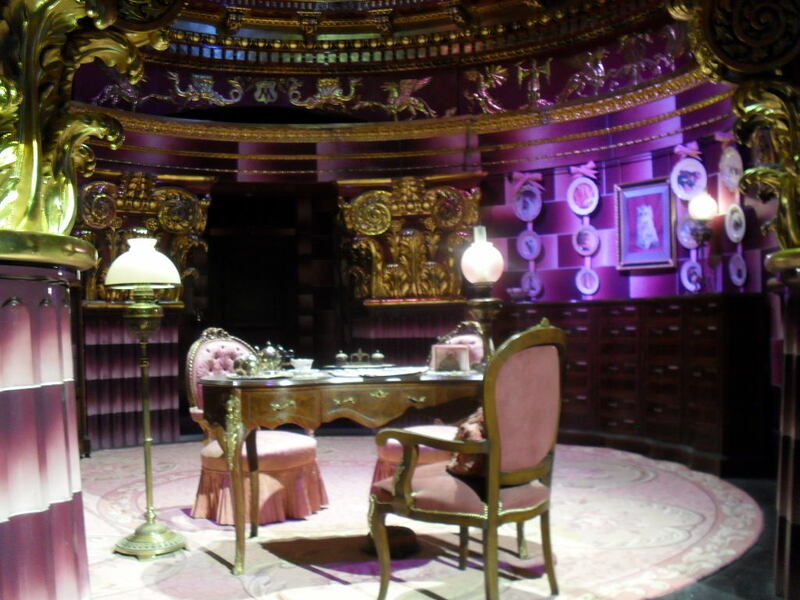 To see the products of J.K. Rowlings’ imagination brought into richly-detailed reality was awesome. I thought, All this is here because of people loving her stories in their millions. “People in their millions”, of course equals “money”, in the film industry.